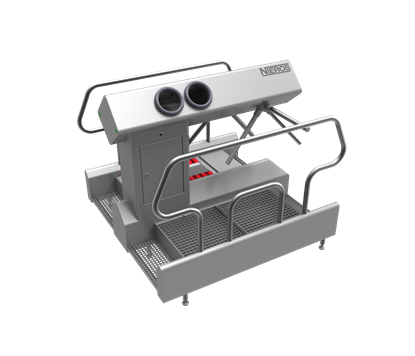 With a dual-lane walk-through, NIEROS® Hygiene Station HC XL is designed for large production areas with a considerable number of personnel entering and exiting per shift. 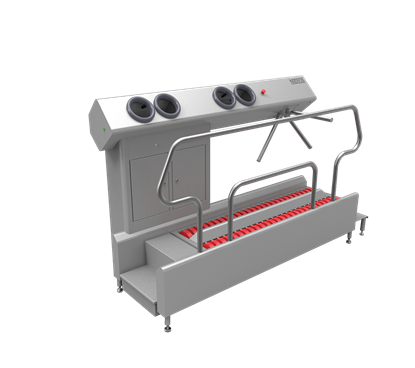 Its high operating capacity allows 10–15 persons to go through one entry point per minute (5 seconds per person) while the double entrance even doubles the access frequency (20–30 persons per minute), allowing two persons to use it simultaneously. 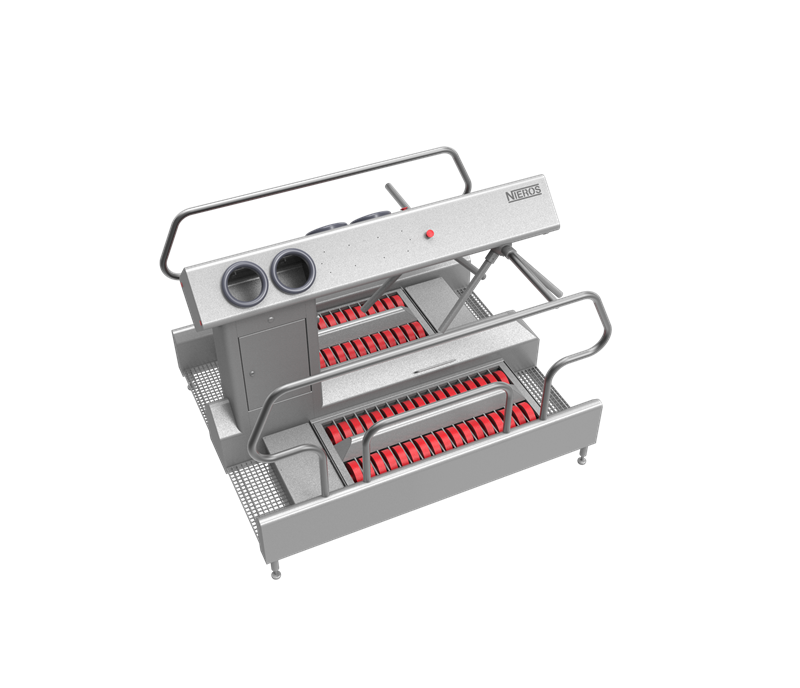 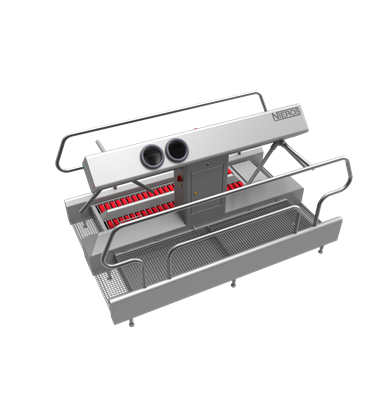 By including two automatic disinfection units and two footwear brush cleaners, it guarantees optimal personnel hygiene. Available in two versions of vertical brushes for cleaning and sanitizing sides of the footwear that differ in height.